Supplier Key Safety Systems said it has signed an agreement with Mobileye NV to use the software developer’s vision processing chip for new types of driver assist technologies. Key Safety, which provides components such as airbags, steering wheels, seat belts, electronics and electronic-actuated devices, joins a list of auto suppliers boosting their active-safety portfolios. "Key Safety continues to systematically expand our active and passive product portfolio along with our systems integration capability to enable OEMs globally to achieve best in class safety performance," Mark Wehner, chief technology officer, said in a statement today. Through the partnership, Mobileye will provide the EyeQ vision processor-on-a-chip, which uses real-time machine vision for camera-based driver assistance systems and autonomous vehicles. Key Safety will integrate the chip with decision logic and hardware. Key Safety will integrate the EyeQ processor with driver assistance hardware and software, which will interpret the EyeQ data and potentially activate braking, safety, steering or other systems, she said. Mobileye earlier this month partnered with Valeo, which will design and produce front-facing camera and sensor systems using the EyeQ program. Valeo and Mobileye also partnered to develop products for automated driving with “vision and laser scan.” Mobileye’s software interprets visual data and helps vehicles spot roadway markings such as lanes, road boundaries, barriers and traffic signals. 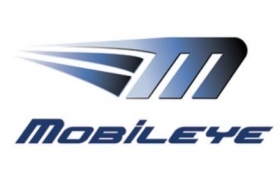 Products by Mobileye, which is headquartered in Israel, are used in vehicles of 23 automakers worldwide including BMW, Ford, General Motors, Nissan and Volvo. Shares in Mobileye, which went public last year, rose 0.6 percent today to close at $42.31 a share. Key Safety products are featured in vehicles of more than 60 automakers worldwide. Key Safety Systems, headquartered in Sterling Heights, Mich., is ranked No. 97 on the Automotive News list of top 100 suppliers in North America, with sales of about $455 million in 2014.